A variety of Michael Jordan collectibles highlighted by the “Retrospect” uncut sheets. Other collegiate, Olympic and professional cards. 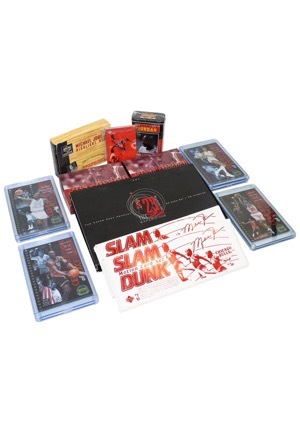 Also included are the “SLAM DUNK” motion card set and 1984 Upper Deck 23 card set.